Honda feeling heat after evidence suggests automaker held back injury and death data. 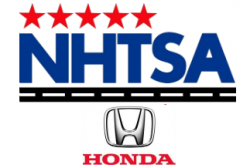 November 2, 2014 — The National Highway Traffic Safety Administration (NHTSA) has opened an investigation into Honda Motor Co. to evaluate if the automaker has been holding back vital safety information from the government. 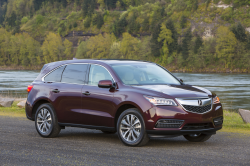 NHTSA says the "audit query" is to find out if Honda failed to submit early warning reports concerning incidents of deaths and injuries involving Honda vehicles. The Center for Auto Safety (CAS) had asked NHTSA to investigate Honda over apparent failures to submit reports related to exploding air bags in Honda vehicles. CAS had went so far as to ask for a criminal investigation from the U.S. Justice Department. The TREAD Act of 2000 requires all manufacturers of 5,000 or more light vehicles submit quarterly early warning reports to help the government track potential safety defects. NHTSA says the Honda investigation will focus on explosive air bags and injuries and deaths related to flying metal from inside the air bags. However, the government also says it believes Honda's reporting problems surpass air bag problems alone. Based on information submitted to NHTSA by Honda, the government suspects Honda has failed to admit other injuries and deaths not related to air bags. NHTSA is giving Honda until November 24, 2014, to respond to ALL the following 34 inquires about the automaker's procedures for reporting death and injury claims to the government. 1. Provide a corporate organizational chart(s) identifying the employees, by name, division and title, who are responsible for collecting and reporting EWR information to NHTSA. 2. Describe the systems used by Honda, between April 1, 2003 and the present, for storing and reporting EWR information. 3. Provide all written company policies, memoranda and/or directives for reporting. EWR information to NHTSA since the passage of the TREAD Act in October 2000, until the present. 4. Describe the procedures that Honda employs to ensure that all EWR information is timely and accurately reported to NHTSA. 5. Provide all documents that refer or relate to concerns or allegations (regardless of whether or not such concerns or allegations were substantiated) by any Honda employee or contractor that there was a problem with any of Honda's EWR reporting processes or that EWR information was not being reported to NHTSA as required. 6. Provide all documents that refer to, relate to, discuss or concern any investigation into Honda's EWR reporting processes and procedures, regardless of whether the investigation was conducted by Honda or a third party. 7. Provide all documents that refer to, relate to, evidence or concern internal audits, whether formal or informal, of Honda's EWR reporting processes, procedures or systems. 8. Identify the outside counsel retained by Honda on September 19, 2014 to perform a third-party audit of Honda's EWR reporting procedures. 9. Provide a copy of the retainer agreement between Honda and the outside counsel identified in your response to Request No. 8. 10. Provide the third-party audit described in Request No. 8. 11. Provide all documents that refer to, relate to, evidence or concern any other third-party audit of Honda's EWR reporting processes, procedures or systems, conducted at any time between July 1, 2003 and the present. 12. 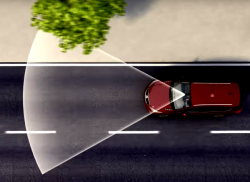 Describe the process by which Honda collects death and injury information, and explain how this information is reported to NHTSA. 13. Provide all written company policies, memoranda and/or directives regarding the procedures for entering information and data into Honda Law Department's case matter management system since the passage of the TREAD Act in October 2000, until the present. 14. Explain the process by which death and injury information is communicated by Honda's Law Department to its Product Regulatory Office, and the process by which that information is then submitted by the Product Regulatory Office to NHTSA. 15. State how and when Honda first became aware that it had not been reporting all EWR information to NHTSA. 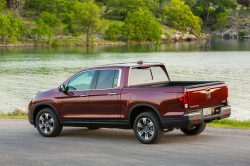 Include in your answer a summary of events leading up to Honda's discovery of this issue. 16. Provide all chronologies, timelines and/or summaries of events, previously prepared by Honda or any third party, that refer to, relate to, discuss or concern Honda's discovery that it had not been reporting all EWR information to NHTSA. 17. Provide all documents that refer to, relate to, evidence or concern the EWR reporting issue described in Request No. 15. 18. Describe any and all efforts undertaken by Honda to correct the EWR reporting issue identified in Request No. 15. 19. 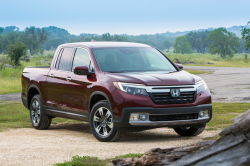 Provide all documents that refer to, relate to, evidence or concern Honda's efforts to correct the EWR reporting issue, as described in your response to Request No. 18. 20. Identify all Honda employees and contractors, by name and title, who attended a meeting with representatives of NHTSA that was held on or about January 26, 2012. 21. Provide all documents that refer to, relate to, discuss or concern the meeting between representatives of Honda and NHTSA that was held on or about January 26, 2012. 22. For each field incident listed on the December 13, 2011 Summary of Field Incidents that was provided to NHTSA on or about January 26, 2012, state whether the incident was reported in EWR. If so, when was the incident reported? If not, explain why the incident was not reported. 23. Provide all documents that refer to, relate to, discuss or concern the discrepancies between the December 13, 2011 Summary of Field Incidents that was provided to NHTSA on or about January 26, 2012, and EWR information reported by Honda. 24. Provide the EWR reporting policy implemented by Honda on or about March 21, 2012. 25. Provide all documents that refer to, relate to, discuss or concern the EWR reporting policy implemented by Honda on or about March 21, 2012. 26. 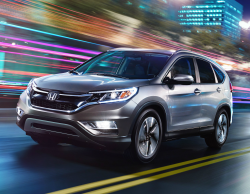 Describe the process by which Honda collects information and data regarding property damage claims, consumer complaints, and warranty claims, and explain how this information is reported to NHTSA. 27. 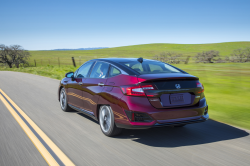 Describe Honda's process for collecting field reports and submitting copies to NHTSA. 28. Identify all death and injury claims known to Honda since 2003 that have not been reported in EWR. 29. Explain why each death or injury claim identified in your response to Request No. 28 was not reported. 30. State whether the California claim by the family of Devin Xu was reported in EWR. If so, when was the incident reported? If not, explain why this incident was not reported. 31. State whether the Oklahoma complaint filed by the family of Ashley Parham was reported in EWR. If so, when was the incident reported? If not, explain why this complaint was not reported. 32. State whether the Virginia complaint filed by the family of Gurjit Rathore was reported in EWR. If so, when was the incident reported? If not, explain why this complaint was not reported. 33. Provide payment records evidencing any payment by Honda of warranty claims, property damage claims, and/or settlements. 34. Provide all other documents not otherwise requested herein that refer to, relate to, discuss or concern Honda's EWR reporting processes, procedures or systems.